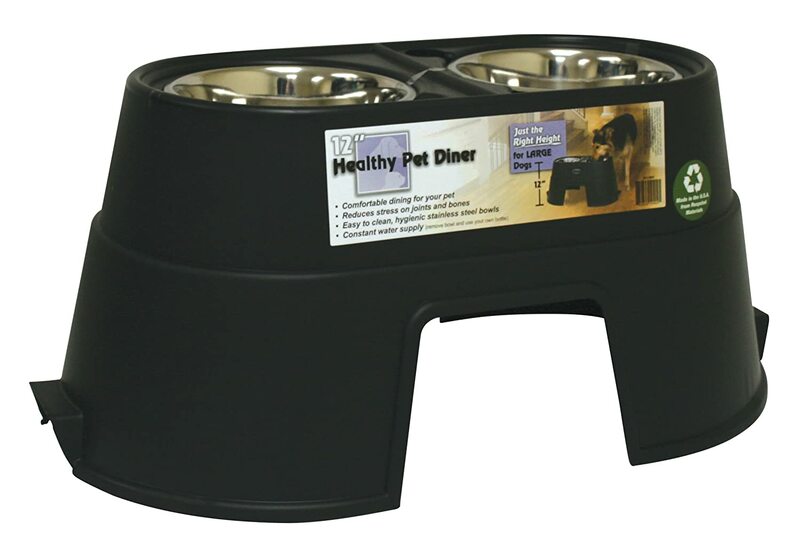 The OurPet`s 12-inch Healthy Diner provides an ergonomically correct eating position for larger breed dogs, reducing stress on joints and muscles while helping to reduce bloat and gas. The diner is made from recycled plastic, and is made in the USA. Included are 2- 1-1/2-quart stainless steel bowls. The diner features our unique self watering feature and a table top ridge to help prevent spills.